The following is a guest post. If interested in submitting a guest post, please read my guest posting policy and then contact me. Vacations, when money is tight, can seem like an impossible dream. Yet with a little forethought and planning you can get away from the humdrum, enjoy yourself immensely and still be able to face your credit-card bill when you get home. By following these top tips for finding cheap accommodation and limiting extra costs, you can plan yourself a fabulous vacation without breaking the bank. Although snapping up a deal at the last minute may save you a chunk of cash, the uncertainty of your eventual destination can get in the way of budgeting as you may get cheap flights, but it could be to a very expensive city. Therefore, our top tip for all accommodation and travel is to shop around for the best deal and book as early as possible. If your heart’s desire is to ski or scuba, then do your research into the costs of the specialist equipment you will need. Even if you already have your own kit, you will still need to consider the cost of shipping it to your destination. Airlines may charge for outsized or heavy luggage, so research the rental fees and weigh them against the costs of taking gear with you so that you can make an informed decision. The rule of thumb is always ‘less’. Checking luggage generally comes with a fee, and if you are toting several bags, then your travel costs will be extremely high. We recommend taking only hand luggage if possible as this is the cheapest way to fly. Find out the dimensions of your airline’s maximum hand luggage and get yourself a bag that will allow you full capacity with no extra charge. Choosing an all-inclusive package where meals are provided ensures that you will be fed and watered while away, but if you would prefer to make some of your own meals, then choose accommodation that includes in-room cooking facilities. Half-board – where at least breakfast and one other meal is included – is a good middle ground. This gives you a hearty meal to start your day, but allows you to sample the local cuisine within your budget. It also means you can fill up at breakfast time and maybe just need a snack before heading back to the hotel for your paid-for dinner. If you are heading for the beach and love to read, consider investing in an eReader or Kindle. Books are heavy – and expensive – but if your holiday would be incomplete without a steady stream of reading material, then the storage capacity on an eReader will ensure that you are less likely to be tempted to splurge on expensive distractions. Just remember to pack the charger and, if necessary, an adapter. 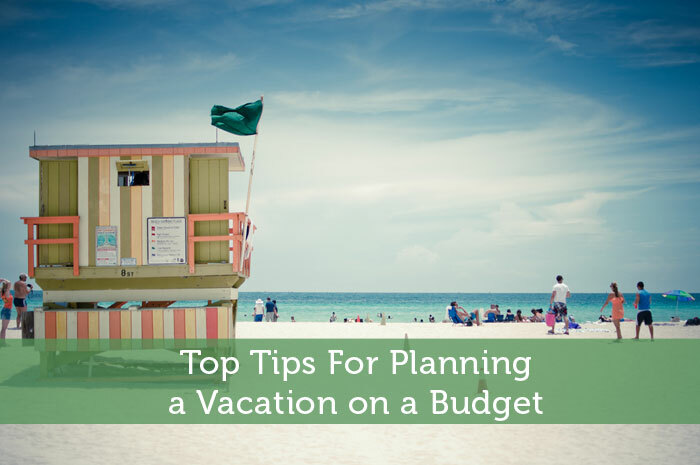 Depending on where you are heading, there may be local sights that you want to see and these should be included in your budget. Look out for vouchers or deals before you head off, for example on the local versions of daily deals sites. Again, researching your options is a good way to know how much spending money you are likely to need. Spending foreign currency doesn’t have the same mental impact as spending your own currency, so consider separating your total budget into daily amounts, then putting them into individual envelopes. Writing down the value in your own currency of each on the packets will also help your brain to make the connection between what you are spending and how it impacts your budget, and by tracking your expenditure in this way you can stop yourself from overspending. But above all, once you’ve planned ahead and stuck to the budget, have fun! Oh traveling, why are you so complicated? Traveling has always been something I’ve wanted to do, but really never have on my own. These are some great tips you’ve given, some that I wouldn’t realize. I’ll just have to buckle down and start planning! Traveling on your own is a bit intimidating, but i guess it depends on your personality. It is easier to put off since when you’re traveling with a special someone you sometimes go on trips specifically to make them happy. Good idea to travel to where your friend moved. That’s sure to make it easier to travel on your own. She’ll probably make a great tour guide too. Have fun Katie. All good tips Jeremy. One thing we’re doing to save cost this year is staying local and not staying at hotels which can really add up in cost. For example we are planning to go to the Indianapolis Childrens Museum one day and then drive back home in the same day because it’s only a two hour drive and then drive to Cincinnati the next day to go to the Zoo. We might spend a $100 in gas but it’s a heck of alot cheaper than spending $300 for hotel rooms. It does make a lot of sense to do some closeby daytrips as mini vacations. You still get to experience something new without all the costs of traveling somewhere far. I know there’s plenty of places near Vancouver that I should find time to check out. We always try to make a trip to the grocery store for some basic snacks and food. This saves a lot of money over always eating out on vacation. It is a good way to save money, but I’m such a sucker for trying new restaurants even if it’s fast food. So I have a tough time buying groceries for vacations. That being said, when we went to Mexico earlier this year, we did cook a lot of meals ourselves. I have stayed at a few all-inclusive resorts and they tend to be more expensive when you compare to purchasing all your meals on your own. You are paying for convenience. I’ve never stayed anywhere all-inclusive, but it seems more geared towards people that will make up for the cost with their alcohol consumption. That and people who aren’t too interested in trying different local food. Some people just don’t want the extra decisions to make. Airlines fees are indeed very high now for shipping sports items. On a regular company I recently tried to ship a bicycle and it was over $100 plus buying the company’s packaging. It doesn’t make sense for a week holiday to bring your gear. I assume that was only one way too. It would make more sense to just rent a bike in that case…depending on how much you bike. I can totally attest to that last one! It was amazing how quickly my spending budget was depleted when I was purchasing in Euros! Mostly because I had no idea how much I was spending. That part of traveling is challenging. Unless it’s a nice even exchange rate like 2:1 or 10:1, it just becomes too difficult and time consuming to properly convert prices. That and the fact that you’re doing much different spending than what you’d buy on a daily basis. So you don’t just automatically know approximately how much everything should cost. great ideas! My family is traveling next month are aren’t paying for any hotel nights. We are using credit card points for the whole trip. We are saving a ton of money by doing this. That’s impressive Tanya. When you’re using your credit card for a family’s expenses I could see how the points could rack up quickly. I’m sure that makes vacations considerably more affordable. Booking early, as you point out, seems to represent the most drastic savings, on average. Thanks for the tips! That is unforunate for a procrastinator like me. I have been meaning to book my FinCon flight, hotel and tickets, but just keep putting it off. Hopefully the prices don’t go up too much. The problem with taking a holiday is that when you have loads of money to spend, you often you do not have a lot of time, but when you have time, you often have less money. And, budgeting is not easy since there are always extra expenses popping up. Good point. It is too bad that it ends up that way. That has definitely been a trend in my life. As I get busier I have a lot more money, but taking enough time off for a full holiday doesn’t seem too likely. At the least I’d have to bring my laptop to stay on top of things. Crash a couch. They seem to be popular these days. 😀 Haven’t tried it, just heard it from a friend. It would be an interesting way to travel. You’d really get the inside track of what to check out and what to avoid. The downside is that you lose some comfort and privacy when going that route. I would add that people should expand their options for where to stay. The last time I was in Edinburgh, we stayed 1 night in a cheap hostel and one night in a hotel. I found the hostel to be a far better experience at a fraction of the cost. Some hostels would be a lot more genuine experience, but you’d have to do your research to make sure you don’t end up anywhere unsuitable. Great tips! I’ll certainly have to use some of these methods before my next trip. The one tip about finding local deals is one I’ve never tried before! I take advantage of local deals in my area, but haven’t thought to look ahead when vacationing. Yeah for some reason some people forget about daily saving strategies while on vacation. A little planning ahead can go a long way. Planning way ahead before you’re vacation can really save you a ton of money. As long as you do it the right way. By the way, thanks for sharing the other tips above. I really wish I was better at planning ahead. I tend to just end up winging things. Partly it’s because I’m a procrastinator and partly I’m just too indecisive to commit to plans. I really need to take my wife on a vacation soon. These are some really good tips. I don’t have to worry about the book since most of the ones I have are already on my wifey’s reader. Right now its more about having enough time to actually go on a vacation. Having books on an ereader certainly makes reading on the go a lot more convenient. I didn’t think I’d use an ereader much but I love the one my girlfriend bought me. And yeah treat that wife well and take her on a vacation sometime soon. If you can hold your nerve, waiting till the last minute is the way to go. We are still holding out on booking, though we want to go early July – getting a bit nervewracking but we did the same last year and snagged a terrific deal to France. It’s like a poker game between us and the holiday companies! And re luggage charges – invest in a flying jacket with pockets, wear it, and cram as much as you can around your person! Last year I ‘wore’ a make-up purse, book and set of hairbrushes to walk onto the plane. Ain’t nothing they can do about it – nice little loophole there! I don’t think I’d like the stress of waiting until the last minute to book a flight. What if there isn’t a flight available then? I guess it’s worked well for you though. Good tip about cramming pockets full of stuff. Fortunately I never bring enough stuff to ever need to pay for extra bags. I certainly agree with you on doing an extensive research work on your destination. I religiously follow the concept of compare and choose. This helps me to enjoy the things at the best price. A very sound principle indeed of doing thorough research on your destination. It does take time yes, but the benefits of great prices and a wonderful travel experience far outweighs the small trouble! If your family is large enough that two rooms are needed, ask if the hotel has a family suite available. These have more bed space than a single room at less than the cost of two rooms. Another option is to consider renting a weekly apartment or condo for the length of your stay. Well, even more options for big families vacation planning. The trick I think lies in proper prior planning and indepth research to determine the best and fairly priced options. Thanks for the additions!